Blockchain startup Ubitquity has announced it will overhaul the land registrar offices of two Brazilian municipalities by embedding land ownership information into the bitcoin blockchain. The pilot program will pair the Delaware-based startup with the Brazilian Cartorio de Registro de Imoveis (Real Estate registry) in the municipalities of Pelotas and Morro Redondo. Ubitquity’s recordkeeping system will embed hashes of detailed information like property address, owner, parcel number and zoning classification into the bitcoin blockchain using the Colored Coins protocol. According to the founders, the pilot program is an effort to move away from paper-based records toward a 100% computer-based solution. Records stored on the bitcoin blockchain are immutable meaning they are not susceptible to theft, corruption, damage or fraud. Ubitquity has been given an exclusive contract by the Cartorio de Registro de Imoveis to provide the registration services. If the pilot is successful, Ubitquity plans to franchise its software to other municipalities interested in migrating records on the blockchain. 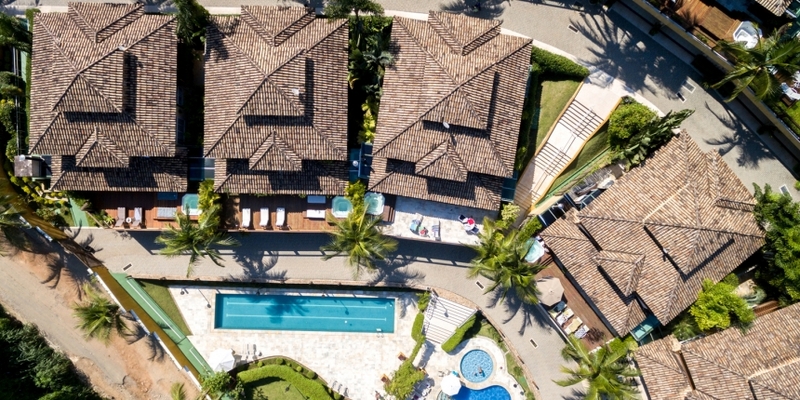 In correspondence with CoinDesk, Ubitquity founder Nathan Wosnack shared the first Brazilian property embedded into bitcoin blockchain using the real estate registry platform (though it declined to make the specifics public). Published 30th March, the entry contains the property information of a doctor living in the city of Pelotas. A similar land registry initiative is being pursued in Sweden where the Lantmäterie land registry authority is partnering with blockchain startup ChromaWay to record property deals on a distributed ledger. The interface allows for banks to connect with individuals to streamline the process of buying and selling property.